Each year, we attend the Gluten and Allergen Free Expo in Dallas. This was a great event that I discovered on Twitter. It seemed like such a great event and the bloggers definitely covered the event well. I wanted the Weekends Count blog to be selected as one of the event bloggers and we were! I said to myself, "Gluten and Allergen Free Expo - Here we come"! It's a great event that you should definitely consider if you like healthy snacks or someone in your family has food allergies. We were given a blogger swag bag and complimentary admission to the expo in exchange for social media coverage of the event/activity! This was SUCH a neat event and it definitely exceeded my expectations. It was a great way to spend our Saturday to make the weekend count! This expo relates to our blog, because my little one experiences trouble with food allergies when we travel. We usually bring our own snacks and this was a perfect opportunity to experience a wealth of travel snacks without allergens. Each booth features a placard on the table which indicates which allergens are present in the company's products. Many of our friends have gluten allergies and they experience difficulty finding a beer to meet their needs. We will definitely recommend O Mission to them! Milton's is one of mom's favorite cracker companies! 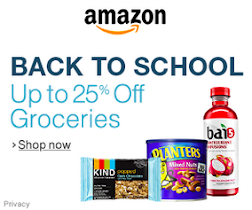 They have some AMAZING cornbread crackers available at Sprouts and also at Amazon. Now, I am pleased to know they are gluten free options as well! Also, the representative at the booth was absolutely amazing and I really hope to work with her in the future! Milton always has high quality products with an amazing taste! Weekends Count Dad enjoys connecting with the amazing people from Freedom Foods! Here you can sample a few snacks and purchase grains and some amazing cereal. The Way Better Snacks awesome representative will tell you about the brand and let you sample a few of the chips. The sweet potato chips are amazing and another chip featuring cranberries is a seasonal selection. Nuun Tablets is definitely recognizable to us because we purchase Nuun tablets for Dad to utilize in his water instead of Mio solution. Most of their products are natural! Our family eats the Enjoy Life products each week in Go Picnic boxes. Their cookies, their bars, and their trail mixes are amazing! The Glutino booth features samples like these! Absolutely delectable! We purchase Enviro Kidz cereal from Nature's Path at Kroger all of the time! Most of the time it is on sale and we are all about a sale! In addition, they have amazing chocolate rice crispies! The best I have ever had! We were introduced to Soy Joy a few black Fridays ago when they were part of a CVS extra care bucks offer. They are incredibly healthy and they are almost always on sale at CVS or Kroger every few months. This is such an amazing natural company with awesome products for moms to be and others! The aspect of this company that I like the most is "replace your Aquaphor (or other products)" statement. Great for moms with kiddos with skin allergies! One product Dad "loves" is the Lovely Candy. Mom does not eat candy, but he definitely does! These products are available in the "Send Me - Gluten Free" box. When cold weather hits, I am always on the lookout for a good broth for soup and other winter foods! These reps are amazing! The food is amazing and the noodles are delectable! 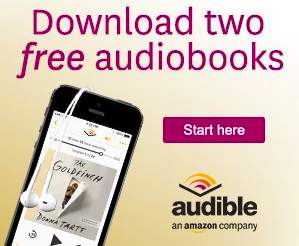 Go buy some, NOW! Their turkey, lemon, and rice dish are so memorable! Delish! I know that they are not located in the Fort Worth area, but I would definitely DRIVE for this amazing food! Great oatmeal! There are two different plans. One includes nuts and the other plan is nut free. You can utilize a Keurig to supply hot water for the Canyon Oats cups. This is a great idea for moms on the go or college students! Great product available at Kroger. Love, love, love their Indian food products. They are never too greasy and are microwavable. I plan to purchase a few of these for my fridge at work! Yes, Kroger is a great grocery store in each town that we have been fortunate to call home. 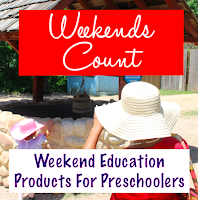 It is a Weekends Count shopping staple! This is my FAVORITE gluten free product and travel product! Love it! I have NEVER had a bad Go Picnic meal! Great product, amazing company, and the best go to snack for moms on the go with traveling toddlers! Here are some more amazing people as well! 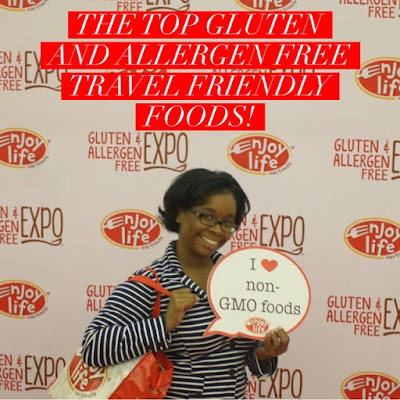 You will have a great time at the Gluten and Allergen Free Expo! You will learn so much about allergen free foods and meet so many company representatives! Hopefully future expos will include more baby food products (allergen free) especially for toddlers. We cannot WAIT to attend next year! 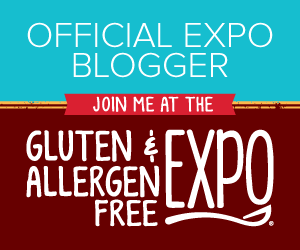 We are partnering with the Gluten and Allergen Free Expo to provide discounted tickets (20% off) until October 16, 2015! Thank you to our sponsor! By purchasing a ticket here, you can also sign up for a FREE 1-year subscription to Delight Gluten Free Magazine! Full Disclosure: We earn a very small commission on tickets purchased here which allows us to buy a few items from the Dollar Store.